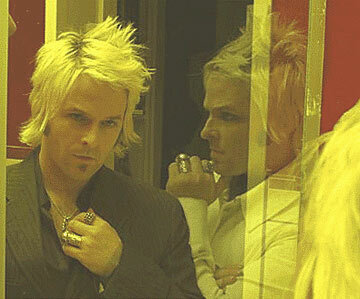 Does Kevin Max look and sound familiar? He should! 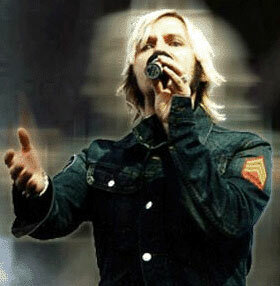 Kevin Max spent the second half of the 1980's-1990's as a member of the Christian pop rock group dcTalk, (Decent Christian Talk), a hugely successful, award-winning Christian band, under the Forefront label, which sold over 8 million records world wide. 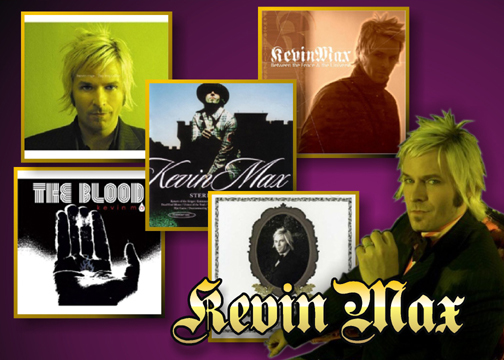 Kevin Max and the other members are 4 time Grammy award winners. Devine Erotica: Inspired by the Song of Solomon, "Puts beauty on the Pedestal, not bringing it down to lowest common denominator. God created sexuality to be beautiful and for a purpose. It's poetry about my male perspective of the female kind. It talks about how we relate, exposing true beauty as inward beauty." - Kevin Max (in an article from christianitytoday.com). his second unfinished demo, BETWEEN THE FENCE & THE UNIVERSE. 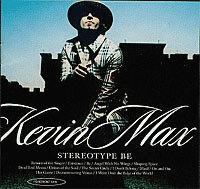 STEREOTYPE BE was a $200,000 plus effort, using for the first time combining Kevin's poetry and lyrics. While this first effort received mixed reviews, all critics thought it was well worth listening to, had moments of brilliance and were looking forward to his future efforts, having great faith in his potential. His fans loved it and were very encouraging. 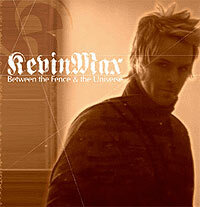 BETWEEN THE FENCE & THE UNIVERSE was a collection of 6 songs released in March, 2005 to keep his loyal fans happy, who were wanting more songs from him, wondering what he was up to in Los Angeles. Kevin Max explains in an interview, "'Between the Fence' is just an unfinished demo I decided to put out for my fans, who've been wanting to hear something new since STEREOTYPE BE." Being an inquisitive reviewer, I visited the music page on Kevin's website, where one can listen to a nice sample of songs from all his solo albums, and I agree with the general analysis. One can hear through Kevin's songs a maturing and transformation of a talented artist's musicianship and artistic vision which was just beginning to surface and transform into a unique musical identity, offering the listener moments of brilliance among generally above average Christian alternative rock selections, propelled and expressed by Kevin's most enjoyable vocals. Ok, so Rome wasn't built in a day either. 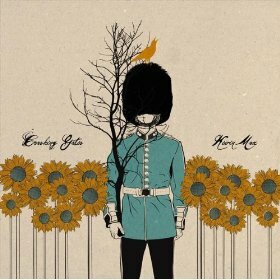 Creativity and an artist's evolving musical transformation takes some time. The good news is that Kevin got it all together in his third effort, THE IMPOSTER. 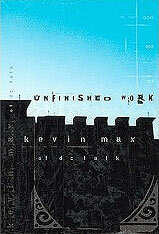 To fully appreciate Kevin Max's spiritual, personal, and musical evolution it is always interesting to see where the seeds of his faith started and how the Lord put people in his life to help him grow, leading him to this place in his life; A period of self-evaluation, and his sharing what he has learned about the struggle we as human beings have every day with our sinful nature; the battle between self-centeredness and the Spirit. 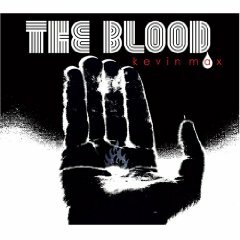 Kevin Max explains to ChristianMusic.com about his early life and the influences which the Lord used to mold him spiritually, musically and build his character as one of His children. 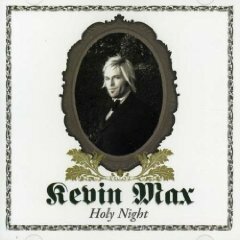 Kevin Max began his life as a baby given the gift of life in the form of an adoption by a loving, 2 parent Christian family, who made every effort to plant seeds of faith and give him opportunities to grow spiritually. "I was adopted as a baby in Grand Rapids Michigan, and my adoptive parents were believers. They brought me up with the understanding of the scriptures and church. I came to know the Lord at a young age, believing in what I was taught but understanding it as truth as time progressed." Kevin's parents instilled in Kevin as a child and young person ideas, values, self-discipline which served him well, helping him to grow into the person with character he has today, with the personal strength to step out in faith with courage and focus, using his musical gifts and sharing what he has learned through his own personal journey through his experiences and self-evaluation. "My father taught me to respect other people, and that working for something and creating something from nothing is the most satisfying thing. Also, the love of my mother and how she ingrained in me the knowledge of self-discipline." "At a very young age I was a voracious reader and lover of music. I think my first foray into the world of Christian music would have been The Imperials, Elvis, and the hymns that I sang as a young boy. I was always interested in the songs that had a deeper pull, and melancholy tunes always touched me more than jubilation." Other musical artists which influence him include alternative rock / British pop artists: U2, Morrissey, The Killers, Coldplay, Blur, David Bowie, Franz Ferdinand, Keane, The Killers, Interpol, and Franz Ferdinand. How were you led by the Lord to use your musical gifts? "I started singing very early on, but not by the prompting of anyone really. I think music has, and will always have a strong influence on every thing that I do. I believe that the Lord is always present in my music, because He created it and He understands our desire for it." We all have experiences in our lives which have influenced who we have become, how we use our God-given gifts, and aspects of our character, spiritual life. Kevin reflects, "I have had many life-molding experiences. My childhood, growing up in Michigan, my career in music with dcTalk, my solo career, my personal life, and all of its encounters." By the time Kevin entered Liberty University, it is not surprising that he was playing in a rock and roll band, which performed in gigs on campus and off campus. Toby Mac, also a student at Liberty University, heard Kevin's vocal performance on campus, and asked him to sing on some song demos that Toby and fellow dcTalk band member Michael Tait were putting together to send to various record companies. Kevin's personal goal as a young man during this time period was to sing and perform in a rock & roll band, which would "cross boundaries and cultures, like the Beatles, Queen, and U2." The musical goal in the very beginning of the other dcTalk members, Toby Mac and Michael Tait, was to combine hip hop, R&B, Rock and Roll and classic genres into a musical format for the glory of the Gospel. It seems that it was possible to please everyone, and so they as a group started to send in demos to a lot of record companies. Well, their dream came true, and a mainstream Christian music label, Forefront Records signed a contract with Toby Mac, Michael Tait and Kevin Max as the group dcTalk and the three very young men began a very successful music ministry for the Lord. While outside music composers and songwriters provided the songs for the group, the compositions reflected the musical goals of dcTalk, providing a breath of fresh air in that the music creatively used a combination of hip hop, R & B, Rock and Roll and classic genres which reached out and grabbed the youth all over the world with both their sound and message, performed by three very talented young men serving the Lord through music. Kevin shares on his website Bio, "Many times I felt the unmistakable presence of the Spirit, and many times I felt the elation of being a performer and vocalist to such a degree that I was moved both emotionally and spiritually." Despite all the wild success they experienced with not only selling a whale of a lot of records and in ministering effectively to young people but also getting recognition from the music industry via awards, as an artist Kevin Max reflects that something was missing. The downside of being part of the mainstream Christian music industry, they as artists were not given much room to experiment. As they grew into more mature men, during this 10 year period, they felt the itch to compose their own music together as a group, and not use outside songwriters. So, they began to do so for their SUPERNATURAL album. While more fulfilling, Kevin was still unsettled because of an inner need to express his talents in new ways. During the SUPERNATURAL tour, Kevin began to do a lot of soul searching, asking himself, "Why am I in this? What motivates me?" The Lord was trying to tell him something. It was time to step out in faith and courage to go down a new path, depending on the Lord and grow as a Christian and a musician. Kevin reflects in his website Bio, "The desire to speak of real things, sing about real situations was a strong force. I needed to voice what had been in my head for years and was too fearful for too long to bring it up to people." When it rains, it pours. His struggles in his musical career were compounded with troubles in his personal life at the same time. Kevin married Alayna in 1997 and they lived in Nashville, TN. Around 2000, they had challenges in their marriage, and after a year of counseling Kevin was counseled from several sources to end the marriage, due to a major problem in their marriage. The divorce caused personal pain, isolation, self reflection and a tough existence in Nashville, where his divorce didn't go over well with some in the Christian music industry in Nashville, who feel that Christian music artists who divorce for whatever reason can't sell records. 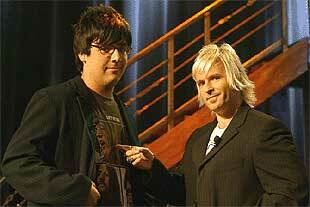 Kevin came to the prayerful conclusion that he needed to leave not only dcTalk, the mainstream Christian music industry scene but also Nashville, in order to start over as an independent Christian music artist, with a revised goal: "To follow my heart and my dreams of creating music and art that people could appreciate and relate to. I am ready again to expose more layers of who I am, and who God has made me to be." So, Kevin stepped out in faith and courage and relocated to Los Angeles, a town he spent some time in during the early days of dcTalk. He jumped right into performing in clubs, bars, theaters, churches and even did a theatrical performance playing Joseph in a stage production of "Joseph and The Amazing Technicolor Dreamcoat." He began this journey and is still in the process of evolving as a person of faith and a musical artist, much to the blessing of his audience and those who enjoy his unique blend and style of indie alternative rock, incorporating elements from Gospel, R&B, contemporary pop, ballads and prayer hymns.